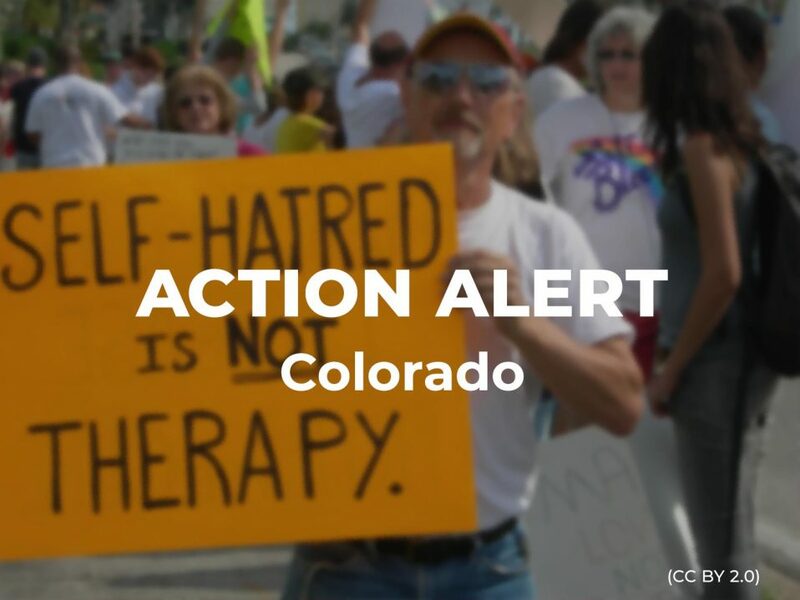 Colorado lawmakers are close to passing HB 1129, life-saving legislation that will protect LGBTQ young people in Colorado from harmful conversion therapy. This bill has already passed the House, and it will soon receive a vote in the Senate. Let’s make conversion therapy a thing of the past! Help pass these protections into law by emailing your state senator now! Conversion therapy consists of practices that falsely claim to change a person’s sexual orientation or gender identity or expression. These practices are based on religious beliefs rather than medical facts—and they can be extremely harmful, especially for young people and their families. HB 1129 would protect young people in Colorado by prohibiting licensed health care practitioners from conducting dangerous and discredited conversion therapy. Conversion therapy has been rejected by every major medical and mental health group for decades because they pose devastating health risks for LGBTQ young people, including depression, decreased self-esteem, substance abuse, homelessness, and even suicidal behavior. Please email your state senator now to help pass this vital legislation!